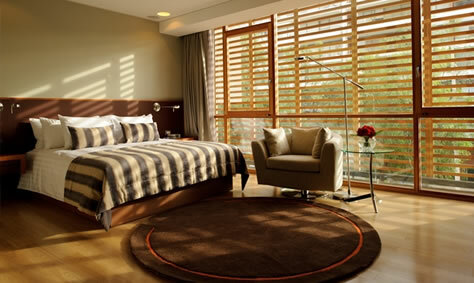 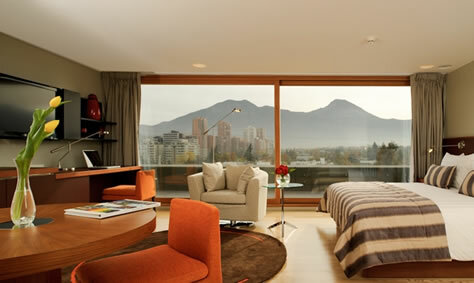 The luxurious NOI hotel is located in Santiago’s fashionable Vitacura district. 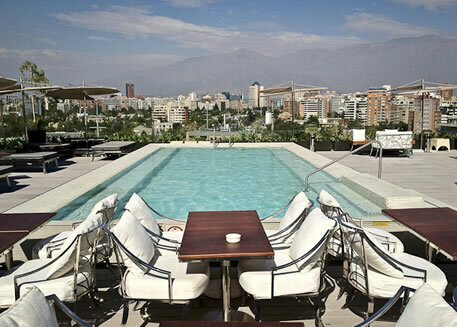 Near trendsetting boutiques, bars and restaurants, but with easy access to the airport on one side and the pristine beauty of the Andes on the other, this hotel offers discerning visitors an ideal starting-point from which explore Chile’s capital city. 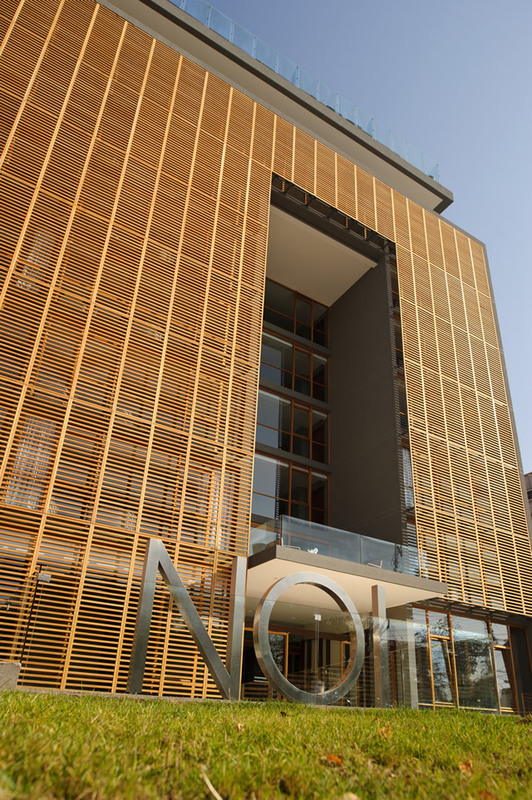 The NOI spacious guestrooms and suites highlight local hardwoods, modern design, rich fabrics, and harmonic colours, with large windows to allow stunning views of the city and mountains. 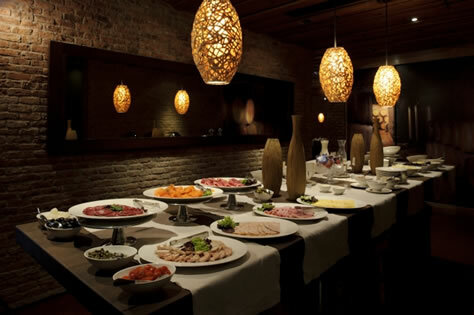 Two exclusive restaurants and stylish bars serve fine international cuisine and drinks, while a full-service spa and fitness centre stand ready for guests’ relaxation and revitalization.